Joyce holds a PhD (Organisational Learning, Stakeholder Analysis, Innovation), MBA, Master in Coaching and Leadership, and a BA (Political Science). She has 20 years of experience in leadership development of senior staff in corporate contexts spanning numerous industry sectors and progressive management experience in international cooperation, the UN system and in complex, multi-stakeholder, fast-paced contexts; substantive involvement in resource efficiency, sustainability, pedagogy and program design; success in building partnerships, alliances, and networks; extensive on-the-ground experience in developing countries in designing and delivering capacity-building programs carried out in a multicultural sensitive, multilingual environments as well as online contexts working with virtual teams. She has significant experience in workshop facilitation and team building. In addition to supporting UNIDO and SwitchMed’s Networking Facility and implementing teams in 8 countries on “scaling up”, she has in parallel undertaken significant mandates in global program evaluation including: UNIDO’s Resource Efficient Cleaner Production (RECP) programme (2015) and UNEP-SETAC’s Life Cycle Initiative (2016). 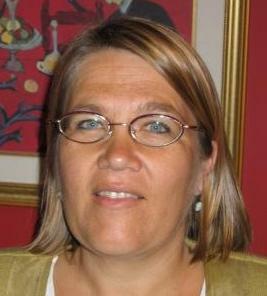 Since 2008, she has been the Chair of PREMAnet, a global network of development practitioners, consultants and trainers in Profitable Resource Efficient Management.